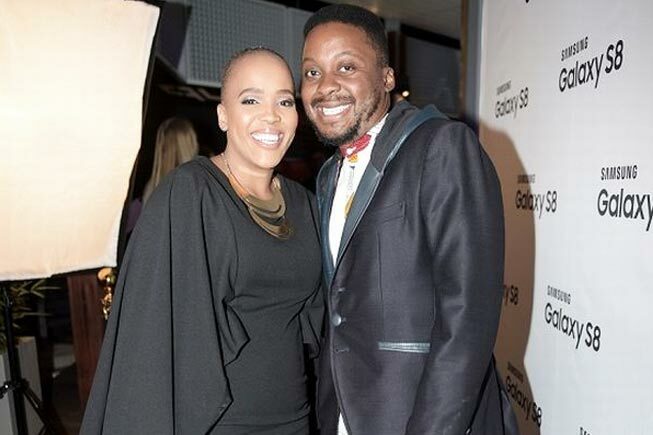 Celebrity couple Mpho Osei-Tutu and Tumi Morake both have thriving careers‚ are raising a family and are building an empire‚ but most importantly are a team in everything they do. While Tumi continues to take the comedy world by storm‚ her equally famous husband Mpho has been owning the theatre stage. Even though Tumi and Mpho are both fiercely passionate about TV‚ theatre‚ and comedy‚ they both make sure their relationship doesn’t take a back seat. During an interview with TshisaLIVE‚ Mpho gave us a glimpse of what a typical day in their household looks like. With incredibly demanding schedules Mpho said their home is filled with loads of action. “It’s very dynamic‚ unpredictable and there’s a lot of laughing‚ we need to have a sense of humour about things‚” he said. Even though they’re both juggling hectic schedules and making sure they’re great parents — quality time for each other is at the top of the priority list. “If we have gaps in between we try to have dates and try to steal moments. We understand the value of contact with each other but when it can’t happen we’re open and understanding‚” he said. Mpho explained that the ‘secret’ to making sure they are always on top of the many roles they play is communication. “We have synchronised diaries‚ we speak to each other every day no matter where we are in the world‚ the relationship takes precedence over the career in a way in that sense‚” he added. Mpho said that it helps that they both are in the industry and understand each other’s needs. As business partners and well-known personalities Mpho revealed that one day soon they could be turning their lives into a reality show. In the meantime Mpho has his sights set on bringing home a Naledi Award for his role in the production Scorched‚ which scored a total of seven nominations at the awards. Mpho has scooped a nomination in the Best Actor category.